Taichung Station -> Transfer via Nantou Bus to Sun Moon Lake ->Then take Yuanlin Bus to Dongpu Hot Spring. You may transfer Taiwan Shuttle Tourist Bus from Sun Moon Lake to Dongpu Hot Spring. Ershui Station and transfer via Jiji Line train to Shueili Station-> Transfer via Yuanlin Bus to Dongpu Hot Spring. 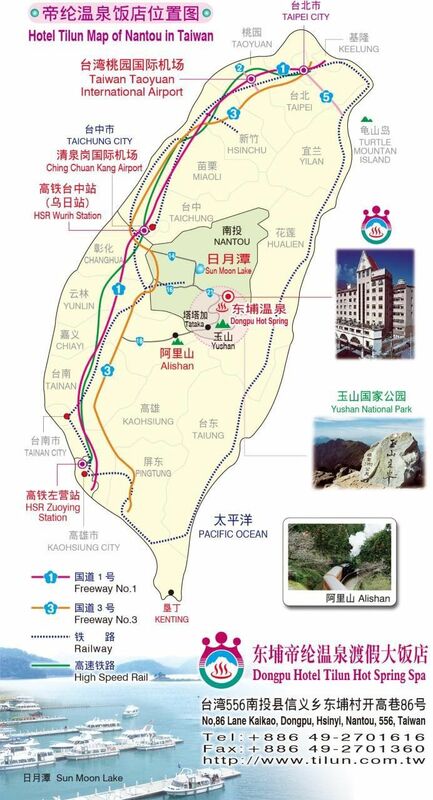 Take All-Da Bus at Taichung Gan-Cheng Station or Take the Shared Ride Taxi at Taichung Lu-Chuan W. Station to Shueili Township ->Transfer via Yuanlin Bus to Dongpu Hot Spring. 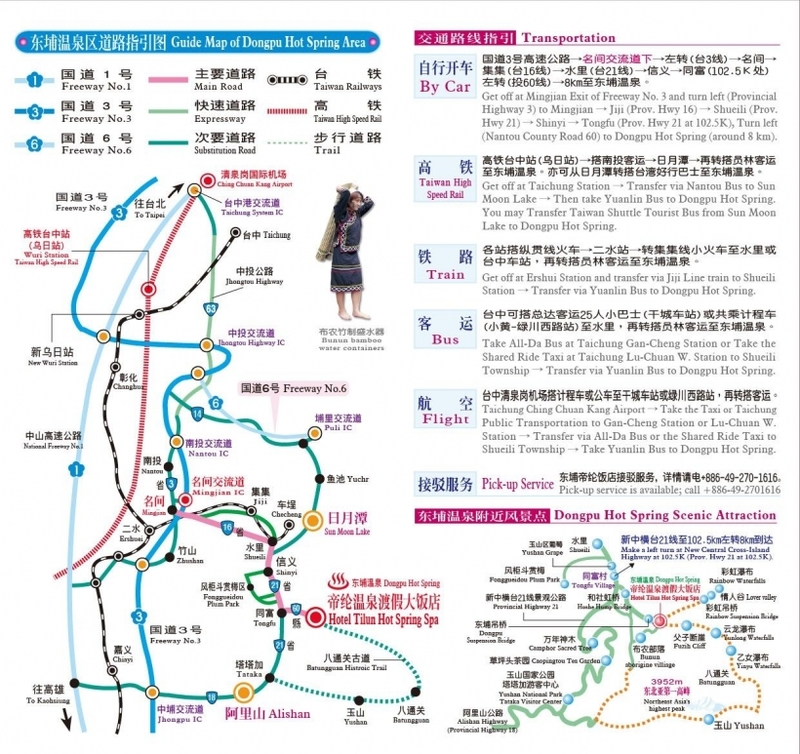 Taichung Ching Chuan Kang Airport-> Take the Taxi or Taichung Public Transportation to GanCheng Station or Lu-Chuan W. Station -> Transfer via All-Da Bus or the Shared Ride Taxi to Shueili Township-> Take Yuanlin Bus to Dongpu Hot Spring. Hotel Tilun Dongpu spa © Copyright All Rights Reserved.